Consider for a moment the amount of people in this nation who are homeless … or let’s get personal … how many in our families have real needs (not wants motivated by greed, but real, genuine needs) and are going without right now? If we are truly Christians, how can we extend hands of grace to everyone else and ignore our own? So, to all the arm-chair quarterbacks in our nation telling us how we should behave I have one simple question … if we REFUSE to take care of our very own (to do nothing and ignore them is to refuse them), how are we measuring up on the supposed “charitable” scale then? As most know, I am a staff writer for the website GotQuestions.org, and I received a question that I wanted to share as well as the answer that I provided. The question had to do with reading and spending time studying with one another (as well as individually). It is amazing how many opportunities we are given every day to learn … and how we willingly just let them pass us by! Thank you for reading and God bless you. Our church recently implemented a new program for our elders and deacons. Each quarter, the leadership reads a book on a selected Christian leadership topic (e.g., The Christian Husband, When God Builds a Church). Our leadership team was fractured and a decision was made to change how we approached leadership by spending more time in study with each other. Leaders were given the choice of participating or voluntarily stepping down. One deacon refused to participate and refused to step down, so he was lovingly asked to step down. Things got bad really fast, and he has now left the church. Before leaving, he argued that the requirements of a deacon do not include reading books. By requiring our leaders to study together this way, are we adding to scripture in a manner that goes against Biblical teachings? Thank you for writing to us. This is not really a biblical-based issue, but more like one person who did not feel they should be assigned reading assignments and so that person literally “picked up their toys and went home”. I am sure Proverbs 15:1 could’ve applied here, but he was already determined to be in rebellion and not willing to budge an inch. As a pastor I’d say this was more of an issue submitting to authority than reading a book now and then. I’d encourage you to try to reach out to this brother if it’s possible, and perhaps work to bring him back with some grace and maybe this information here. In just those FOUR verses we see where learning is a good thing … so my friend, learn all you can — because God’s knowledge is VAST and He desires that we seek Him out (I encourage you to check out Proverbs 25:2 for proof of this). So, what do YOU think? 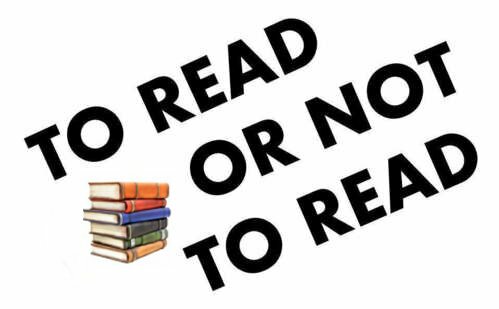 Should we read a book now and then or scoff it off merely as “not needed”?